Diabetes is a condition involving excessive amounts of sugar in the blood but it isn’t caused by eating too much candy or watching too many sweet romance movies. If unchecked, it may result in amputation of limbs and death. It is one of the fastest growing health problems in the United States, especially among young people. To explain this phenomenon, one needs to understand that type 2 diabetes is often associated with obesity—another growing problem. Type 1 diabetes is caused wholly by a lack of insulin production in the pancreas. Insulin is a hormone that regulates the metabolization of carbohydrates and fats. Type 2 diabetes can also include decreased insulin production, but is mostly associated with insulin resistance. In other words, the tissues in the body don’t respond to insulin the way they should, even though the pancreas is producing it. 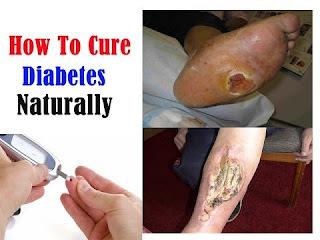 Once you have diabetes, there is no cure. However, if you have been diagnosed as pre-diabetic, there are things you can do to reverse your path and prevent it from getting worse. Having diabetes is all about managing your insulin levels with medications and lifestyle changes. You may not be able to get rid of it, but manageable is a close second. If you have been diagnosed with type 1 or type 2 diabetes, you will have it the rest of your life. There is no getting rid of it. If you have gestational diabetes, it is likely the effects will subside soon after parturition. Whether your body has built up a resistance to insulin due to obesity, or you have a genetic propensity for diabetes, there are a couple of things you—with your doctor—can do to manage diabetes. When you initially go to the doctor, they will do blood work; this includes checking your blood sugar levels. The A1C test can check your average glucose levels over the past few months by looking at your hemoglobin. Another common test requires that you not eat for 8‒12 hours beforehand to see how much residual glucose is in your blood. If you are diagnosed with diabetes, you will need to get a do-it-yourself blood sugar tester (this may be built into your insulin pump). Amazon sells a full kit for testing at an affordable price. One of the most effective ways to stave off pre-diabetic symptoms is to lose weight. Even losing 5‒10 percent of your body weight can have a significant impact on your chances of developing type 2 diabetes. This isn’t always an easy task, especially if you have other health problems that immobilize you, like bad knees or an injured back. If that is the case, talking to a physical therapist about other exercise options is prudent. Everyone has the ability to watch what they eat—smaller portions and better choices are key. We all know that diabetes means having an excessive amount of glucose (sugars) in the body. That doesn’t mean that you can just quit eating candy and be fine; the human body converts many different foods into sugar. Dietitians sometimes recommend cutting out all carbs, but that is almost never necessary. The most important things in planning your diabetic diet (with a physician’s guidance) are moderation and vigilance. It’s alright to have some carbs, but make them healthy carbs—whole grains vs. simple sugars. Cut out excessively fatty and salty foods as well. Not only because it will help you lose weight, but because a healthier, more muscular body is better at metabolizing sugars. Strength training is said to increase glucose uptake by nearly 25 percent. Lifting weights should be part of any good exercise regimen, but alternate your focus areas and be sure to give yourself a break to allow for muscle healing. Improving your cardiovascular health by running, jogging, walking, etc., for 30‒45 minutes per day will burn calories and contribute to weight loss. Insulin is a hormone that regulates how your body uses sugar. Depending on your type of diabetes, insulin is either in short supply or your body has grown resistant to it. A combination of dietary changes, blood sugar monitoring, and insulin injections is usually the best way to combat diabetes. Some people will only need occasional injections, while others will need the constant attention of an insulin pump. Oral diabetes medications such as metformin (Glucophage) and acarbose (Precose) are another option. These work by blocking the production, or release, of glucose into your blood stream. Glandular transplantation is a possibility for those diabetes sufferers who have a damaged or faulty pancreas. It is an intensive and risky option that will require taking anti-rejection drugs for the rest of your life. But, hopefully, you won’t be diabetic anymore. Bariatric surgery won’t cure diabetes, but it might help reverse the chances of developing obesity-related type 2 diabetes. It is another very risky surgery, and it is only for the very obese who have tried everything else. There is no guarantee that diabetes will be averted. It is also a surgery that requires quite a bit of a lifestyle change. You can find books like The Emotional First Aid Kit at Amazon that detail the results of bariatric surgery. Find food alternatives. When you first suspect diabetes, you will likely be directed to a dietitian who will discuss glycemic index. Carbs to avoid include: instant rice, plain white bread, potatoes, some fruits, sweet desserts, etc. Some good carbs include: raw veggies, nuts, legumes, and citrus fruit. Stop unhealthy habits. Both alcohol and tobacco can contribute to the development of type 2 diabetes. A little bit of alcohol is okay, but heavy drinking takes a toll on your liver and pancreas. Smoking can increase insulin resistance; it also stinks and causes heart disease and cancer. Join a support group. You are not alone. There are millions of diabetics out there. A support group—people who share your experience—can offer advice and tips for healthier ways to live with diabetes.